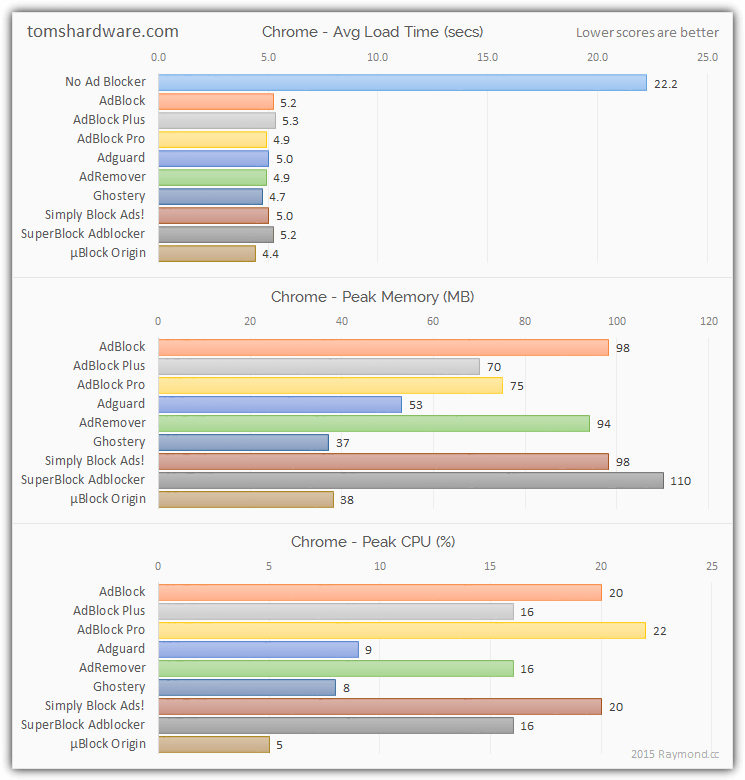 Ad blocker – an essential attribute of the browser each experienced user. In recent years, the popularity of extensions is growing, because advertising is becoming more aggressive and targeted / ad networks to track the history of visited sites and searches the user compulsively offering goods and services in which he allegedly needs. 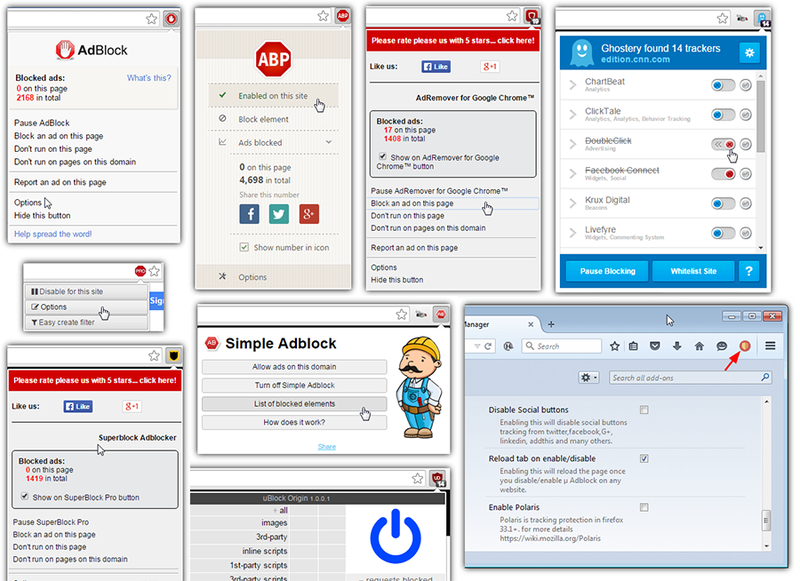 For browsers Chrome and Firefox released more than a dozen extensions to block advertising. I wonder how well they work. 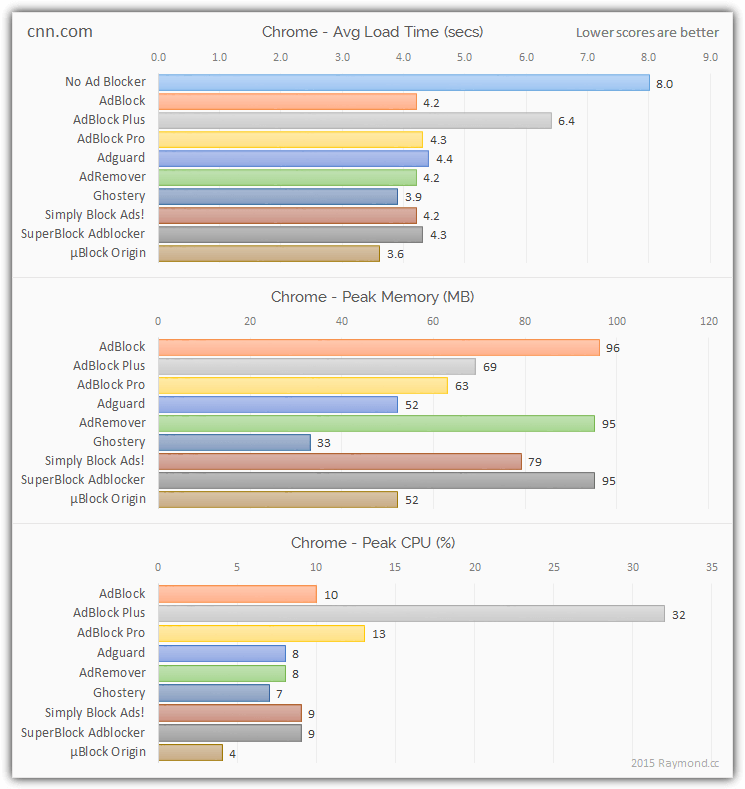 Independent software developer by the name of Raymond from Malaysia held a comparative test of ten of the most popular extensions to fine best ad blocker. They measured the speed of loading pages (the average time after ten downloads), the peak amount of allocated RAM and the peak load on the CPU. Testing was conducted on a standard laptop with a processor Core Duo 2,2 GHz, four gigabytes of RAM and internet connection by Wi-Fi. 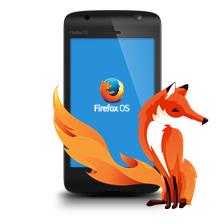 Browsers – Chrome 44 and Firefox 40. 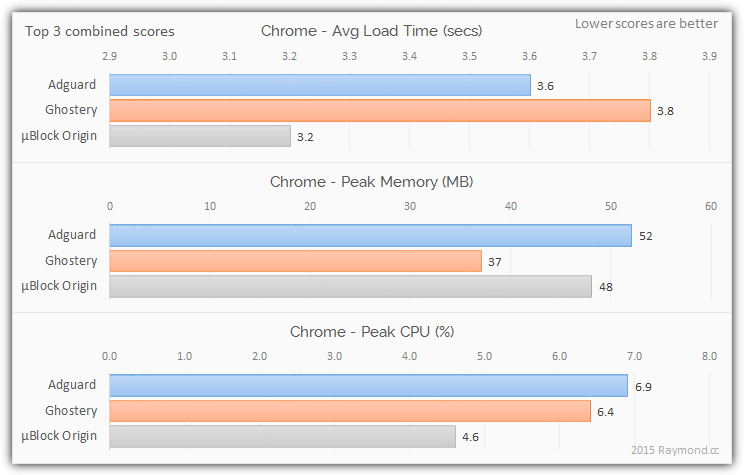 In all test sites showed a significant reduction in the time of page loading, is about three times. As RAM and CPU contradictory results. See charts. 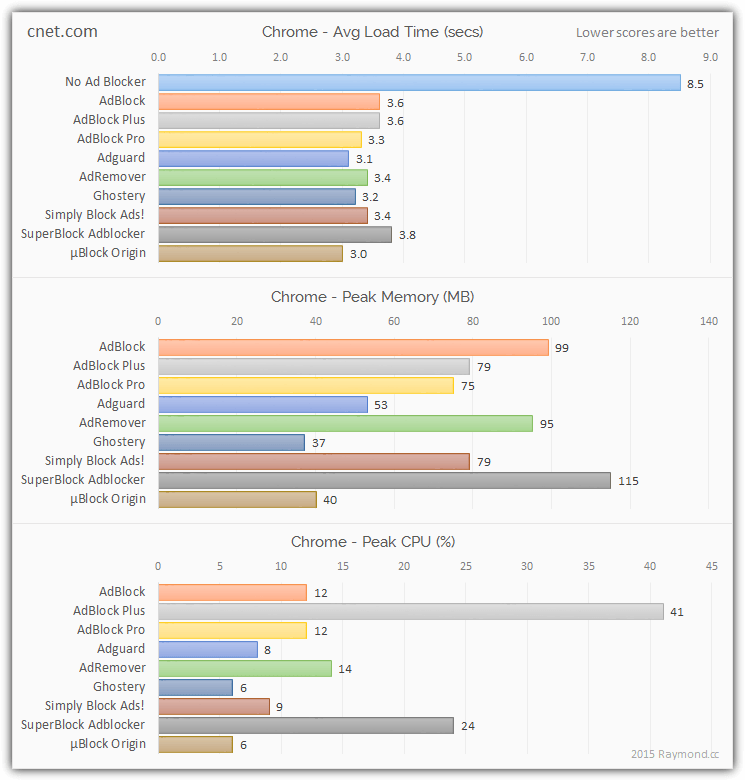 Advanced features include slow work stands AdBlock Plus, and the effectiveness of all working μBlock Origin, which provided the speed of loading pages, on average, 0.4 seconds faster than the others. 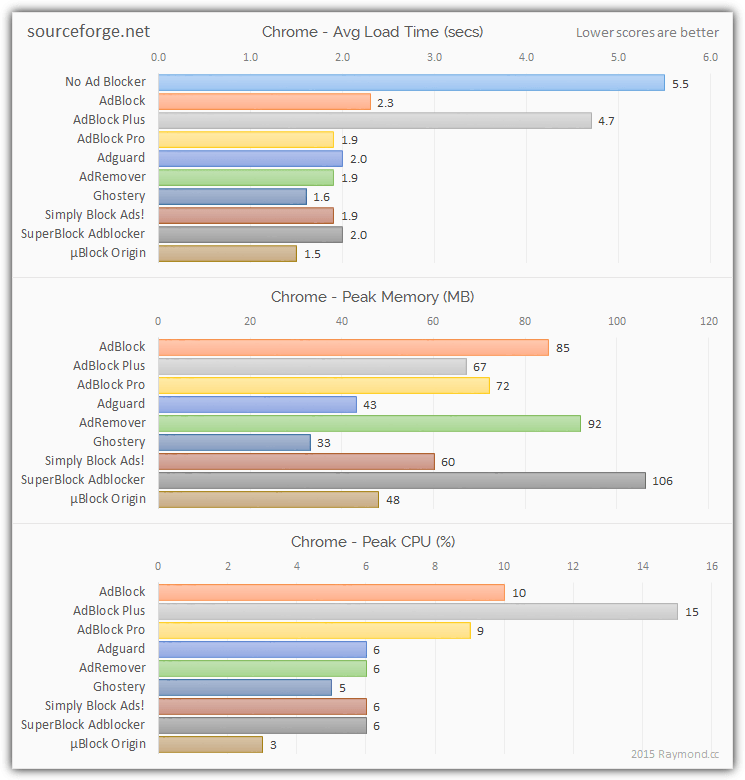 The advantage μBlock Origin preserved for Chrome, and Firefox. By saving the maximum RAM expansion won Ghostery. 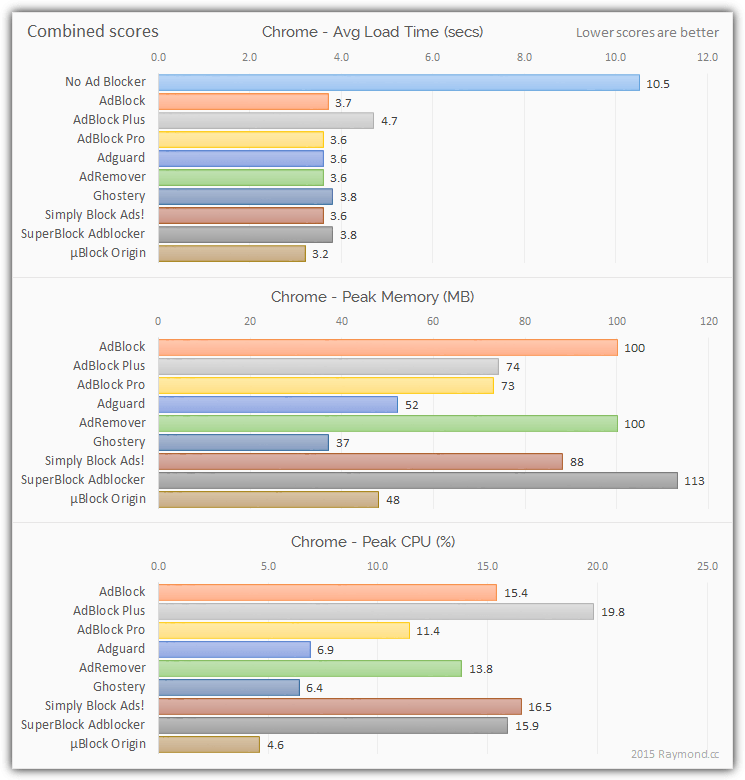 Independent software developer by the name of Raymond from Malaysia held a comparative test of ten of the most popular extensions to fine best ad blocker.